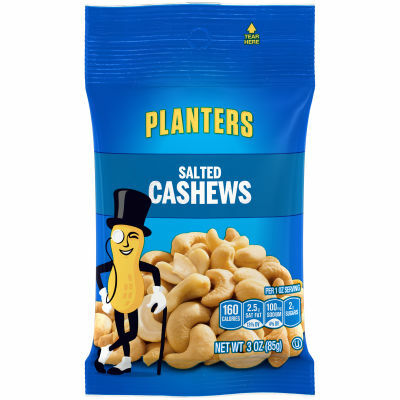 Planters Salted Cashews deliver that quality flavor you’ve grown to trust. - A and nutritious delicious snack, these cashew nuts offer the perfect pick me up with the salty flavor you crave. Available in an easy to open bag so you can enjoy this crunchy treat anywhere. Serving size 1oz (28g/about 62 pieces).